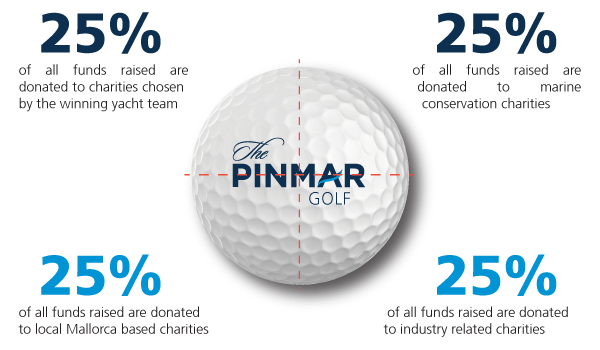 Pinmar has a thirty-year history of charitable fund-raising primarily through its annual golf event. The Pinmar Golf, now in its 31st year, has become one of the largest and most important social events in the superyacht calendar bringing together 800 yacht captains and senior industry executives from across the globe to Mallorca each October. To date the Pinmar Golf has raised over €1 million which has been distributed to a range of local, industry and environmental charities. Pinmar supports the Blue Marine Foundation through its charitable fund-raising and is aligned to its goal of placing 10% of the world’s oceans under protection by 2020 and 30% by 2030. Pinmar is working with Blue Marine to expand their Mediterranean portfolio and to help drive awareness within the superyacht community.